Ahrens, A. M., Singer, B. F., Fitzpatrick, C. J., Morrow, J. D., and Robinson, T. E. (2015). Rats that sign-track are resistant to pavlovian but not instrumental extinction. Behavioural Brain Research, 296, 418-430. Becker, H. C. (1998). Kindling in alcohol withdrawal. Alcohol Health & Research World, 22, 25-33. Blacher, S., and Rundio, A. (2014). Complementary and integrative modalities in addiction treatment. Journal of Addictions Nursing, 25, 165-166. Carter, B. L., and Tiffany, S. T. (1999). Meta-analysis of cue-reactivity in addiction research. Addiction, 94, 327-340. Cooney, N. L., Baker, L. H., and Pomerleau, O. F. (1983). Cue exposure for relapse prevention in alcohol treatment (pp. 194-210). In: McMahon, R.J., Criag, K. D. (eds. ), Advances in clinical behavior therapy. New York: Brunner/Mazel. Craig, T. (1990). Comments on AA’s Triennial Surveys. Retrieved 8 November 2015, from http://www.scribd.com/doc/3264243/. Crits-Christoph, P., Gibbons, M. B. C., Gallop, R., Ring-Kurtz, S., Barber, J. P., Worley, M., Present, J., and Hearon, B. (2008). Supportive-expressive psychodynamic therapy for cocaine dependence: A closer look. Psychoanalytic Psychology, 25, 483-498. Edwards, M. (2014). Music therapy in addiction recovery. Retrieved 11 November 2015, from http://alcohol.addictionblog.org/music-therapy-in-addiction-recovery/. Fox, H. C., Bergquist, K. L., Hong, K. I., and Sinha, R. (2007). Stress-induced and alcohol cue-induced craving in recently abstinent alcohol-dependent individuals. Alcoholism: Clinical and Experimental Research, 31, 395-403. Hari, J. (2015). Chasing the scream: The first and last days of the war on drugs. London: Bloomsbury Publishing. Leshner, A. I. (1997). Addiction is a brain disease, and it matters. Science, 278, 45-47. Marlatt, G. A. (1990). Cue exposure and relapse prevention in the treatment of addictive behaviors. Addictive Behavior, 15, 395-399. Nestler, E. J., and Malenka, R. C. (2004). The addicted brain. Scientific American, 290, 78-86. NIDA (2012). Drug Facts: Understanding Drug Abuse and Addiction. National Institute on Drug Abuse (NIDA). Bethesda, MD: U.S. Department of Health and Human Services. Updated November 2012. Palfai, T. P. (2001). Individual differences in temptation and responses to alcohol cues. Journal of Studies on Alcohol, 63, 675-666. Pierce, R. C., and Vanderschuren, L. J. (2010). Kicking the habit: The neural basis of ingrained behaviors in cocaine addiction. Neuroscience and Biobehavioral Reviews, 35, 212-219. Reoux, J. P., and Ries, R. K. (2001). Searching for new detoxification strategies. Retrieved 18 November 2015, from http://scienceblog.com/community/older2001/A/200110270.html. Rohsenow, D. J., Monti, P. M., Rubonis, A. V., Sirota, A. D., Niaura, R.S., Colby, S., Wunschel, S. M., and Abrahms, D. B. (1994). Cue reactivity as a predictor of drinking among male alcoholics. Journal of Consulting and Clinical Psychology, 63, 620-626. Saunders, B. T., and Robinson, T. E. (2010). A cocaine cue acts as an incentive stimulus in some but not others: Implications for addiction. Biological Psychiatry, 67, 730-736. Saunders, B. T., and Robinson, T. E. (2013). Individual variation in resisting temptation: Implications for addiction. Neuroscience and Biobehavioral Reviews, 37, 1955-1975. Saunders, B. T., Yager, L. M., and Robinson, T. E. (2013). Cue-evoked cocaine “craving”: Role of dopamine in the accumbens core. The Journal of Neuroscience, 33, 13989-14000. Sindewald, L. (2014). On relapse rates and sobriety goals. Retrieved 18 November 2015, from http://www.cognichoice.com/2014/05/29/on-relapse-rates-and-sobriety-goals/. Sinha, R., and Li, C. (2007). Imaging stress- and cue-induced drug and alcohol craving: association with relapse and clinical implications. Drug and Alcohol Reviews, 26, 25-31. Smith, M. A., and Lynch, W. J. (2012). Exercise as a potential treatment for drug abuse: evidence from preclinical studies. Frontiers in Psychiatry, 2, Article 82, 20 pages. Spiegel, A. (2015). What heroin addiction tells us about changing bad habits. Retrieved 12 October 2015, from http://www.npr.org/sectons/health-shots/2015/01/05/371894919. Tomie, A., and Zito, B. (2014). 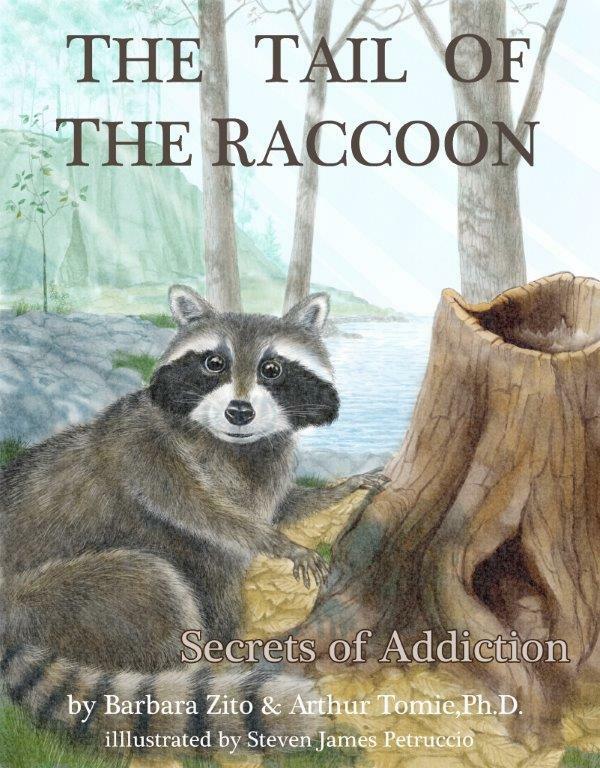 The tail of the raccoon: Secrets of addiction. Princeton, NJ: ZT Enterprises. Retrieved 22 October 2014, from http://tailoftheraccoon.com/dopamine-and-drug-addiction. Tsiang, M. T., and Janak, P. H. (2006). Alcohol seeking in C57BL/6 mice induced by conditioned cues and contexts in the extinction-reinstatement model. Alcohol, 38, 84-88. Uslaner, J. M., Crombag, H. S., and Robinson, T. E. (2007). The influence of environmental context on the effects of drugs of abuse (pp. 435-456). In Kalechstein, A., van Gorp, W., (eds. ), Neuropsychology and substance use: State of the art and future directions. Philadelphia, PA: Taylor & Francis. Voss, J. P. (2009). Relapse after long-term sobriety. Retrieved 11 November 2015, from http://www.americanbar.org/newsletter/publications/gp_solo_magazine_home/gp_solo_magazine_index/voss.html. Zschucke, E., Heinz, A., and Strohle, A. (2012). Exercise and physical activity in the therapy of substance use disorders. The Scientific World Journal, Article 901741, 1-19.